plan with your goals in mind. difference in owning a job, or being a TRUE business owner. Social Ivy Media, Inc. is an online marketing and business development agency based in Clearwater, Florida that specializes in website design and online business development. Our team leverages the latest strategies and tactics in online marketing to empower today’s business owner to grow, scale, and automate their online presence. Decades of experience ensures a prompt and accurate diagnoses backed by AGILE marketing techniques that create an easy to follow, step by step plan for success! Our websites utilize the latest in mobile compatibility and TRUE responsiveness to ensure your online presence looks great on any device! As your business grows, so do your needs. No page limits, E-Commerce, Private Member Areas, Training and Support Zones, basically everything your business needs to thrive in an online world! Our team infuses each project with a user-friendly experience that entices engagement and conversions. Tired of waiting for your “web guy” to get back to you? Our friendly and knowledgeable staff are here to help when you have questions, saving valuable time and potentially money! Your logo is how people recognize you. It’s a picture that, at a glance should convey an idea and mental image of you and your brand. We’ve been listening to what Google keeps saying… Content is KING! Adding new, relevant content on a regular basis is some of the best SEO you can do for your website. Having an automated sales funnel allows you to engage and nurture new prospects more effectively at greater volume without the costly need to scale in manpower. There is never a shortage of new potential customers available, the trick is getting your message in front of the right targeted audience. Our team utilizes best practices in targeted marketing to ensure you get the maximum return on your advertising investments. Conversion-focused landing pages that connect with your prospects in the most engaging format available today, VIDEO! Our platform utilizes the best practices for opt-ins and conversions, creating a narrative that drives a steady stream of new leads into your sales funnel. Social media for business is different than how you use it with friends and family. If used properly, social media can be a powerful, highly effective lead generating and marketing tool. There’s a reason that 15% of your Google ranking is based on “social proof”. Certain offers need special attention. Having a place that is designed specifically to receive traffic allows you to create a steady intake of new prospects, ensuring the long term success of your business! 60% of all web traffic comes from a mobile device. If your online business isn’t mobile responsive, you’re missing more than half of your potential clients and customers. If you already have a site that’s working and just need to make it mobile, we can help! We provide a complete diagnosis of your site, remove any unwanted code or infections, and install the latest in online protection so your site and clients are protected. Further optimization for fast load times and additional security measures are also taken. Our SEO packages focus on effective on-page optimization and diverse off-page link building activities. If you want to be found in your area or by the world, we’ve got you covered! Direction is often more important than speed. Our consultation process is designed to extract the right information, read between the lines, and deliver a concise action plan to help you achieve your goals! Your website is often your clients first impression of you and your business. Our team delivers modern, mobile responsive websites with built in engagement mechanics. Our comprehensive consultations allow us to read between the lines and provide our clients with clarity and specificity in an otherwise ambiguous world of online marketing. Our platform provides all of the features and functionionality you need, without the burden of heavy monthly system fees. This client had a great presence in his target audience and had been featured on Television as well as radio. In the process, he had built quite a following but had no centralized home to better serve his audience. We did a total re-branding and logo redesign as well as provide a centralized hub to showcase his existing and future content to be shared with the world! A family run business, Just water was referral from a previous client. We created their logo, brand, and helped them create a simple, yet high converting lead magnet. This project is for a client in the B2B sector that really needed a professional, polished presence. There is a long form landing page optimized for engagement as well as a hidden, password protected page with an embedded and active Power Point sales presentation. 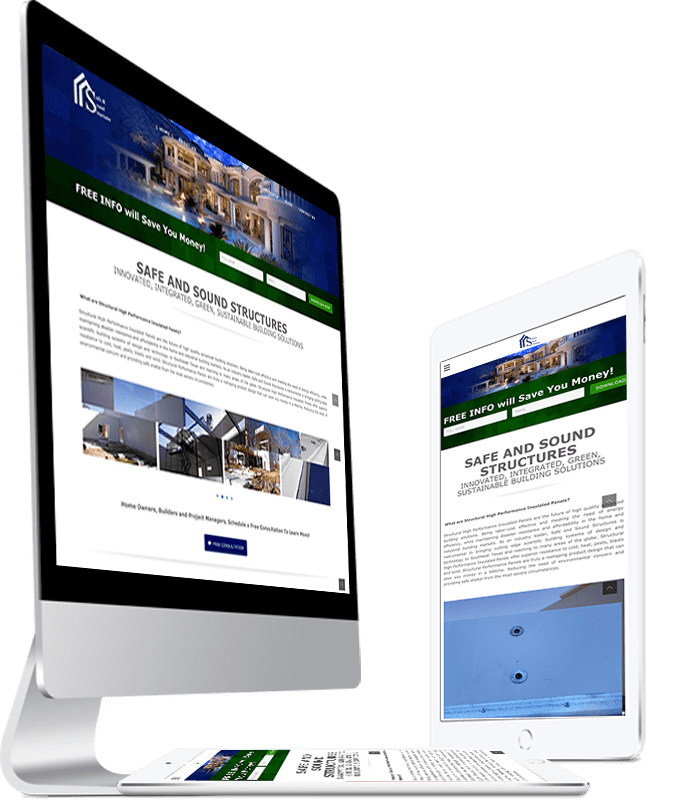 Our powerful, easy to use website builder makes it easy for anyone to quickly build an SEO driven, mobile optimized website that generates leads. The CRM offering is one of the most robust, yet simple to use customer relationship management systems on the market. One Solution to Power Your Email! Accelerate Your Business with Email Marketing and Newsletter Management. Monthly Business Marketing Tips, Tactics, and Techniques!